Provide comfort for the family of Barbara McCullough with a meaningful gesture of sympathy. Barbara Jean McCullough was born August 13, 1947 to William Ferguson and Dorothy White. She was born and raised in Jacksonville and attended Duval County Public Schools. Barbara was baptized into the body of Christ at Northside Church of Christ. She and her 4 children attended church there for many years. 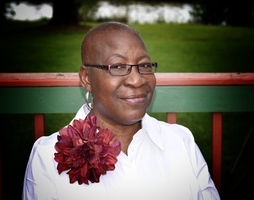 In more recent years, Barbara became a member of Westside Church of Christ. Barbara was known for being a very strong woman. After the passing of her mother, she stepped in to raise her younger siblings. She didn’t always say I love you, but she showed her love by her actions. 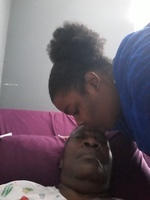 She raised her 4 children as a single mom and after they were grown, she raised her granddaughter as her own from the time she was 3 months old. Barbara always worked hard to provide for her family and was loved by anyone who encountered her. Barbara was preceded in death by her father, William Ferguson and her mother, Dorothy White. 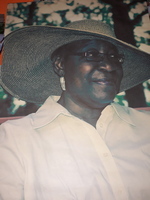 Barbara leaves to cherish her memory: 4 children, Antonio White, Leonard White, Lisa McCullough Davis and Henry McCullough III (Sharelle); sisters, Janice Hayes (Leon), Eloise Brown and Betty Acker; as well as a host of nieces, nephews, grandchildren, great-grandchildren and friends. To send flowers in memory of Barbara Jean McCullough, please visit our Heartfelt Sympathies Store. Alex,Antolnette -Your Selene Family and Love, V and Jen have sent flowers to the family of Barbara Jean McCullough. The best mother in law a woman could have. Mom was strong, hardworking and she loved her family. We love you and will miss you but God loved you best and wanted your suffering to end. This is not goodbye but see you soon. I love you Mom!!! !